The NBA offseason began on Thursday for nearly half of the league as the regular season came to a close. It didn’t take long for several head coaches who were on the hot seat in the season’s final days to lose their jobs, and more could be relieved of their duties in the coming days. The changes began with the Sacramento Kings electing to fire head coach Dave Joerger despite the team being in the thick of the playoff race coming down the stretch. 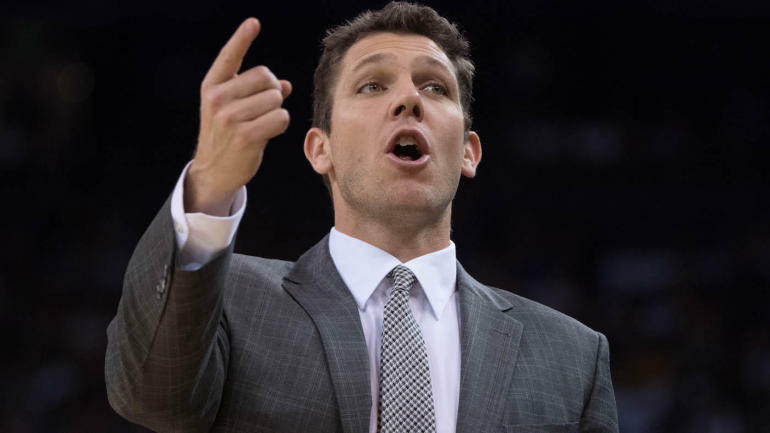 It didn’t take long, however, for the Kings to find their replacement as they signed Luke Walton to a multi-year deal through the 2022-23 season following his departure from the Los Angeles Lakers on Friday. Although Walton didn’t lead the Lakers to a single playoff appearance during his three seasons with the franchise, he did increase his win total every season there. Furthermore, he also coached the Golden State Warriors during the 2015-16 season when they won an NBA-record 73 games. As far as the Lakers are concerned, they have yet to decide on their head coach for the 2019-20 season. However, veteran names such as Tyronn Lue and Monty Williams will interview for their vacant head coaching position. The coaching carousel is certainly in the early stages, but there are already a few names that are seeking employment after their teams sent them packing, including the Cleveland Cavaliers‘ Larry Drew and the Memphis Grizzlies‘ J.B. Bickerstaff.